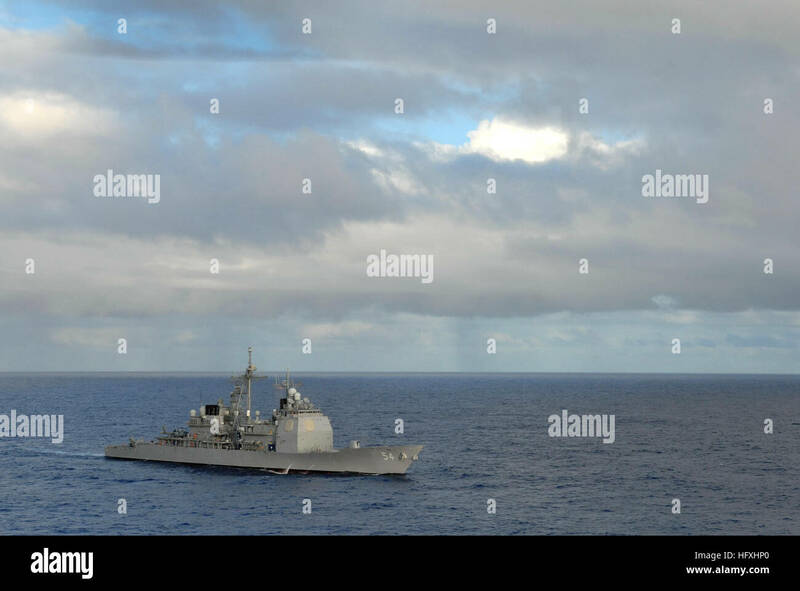 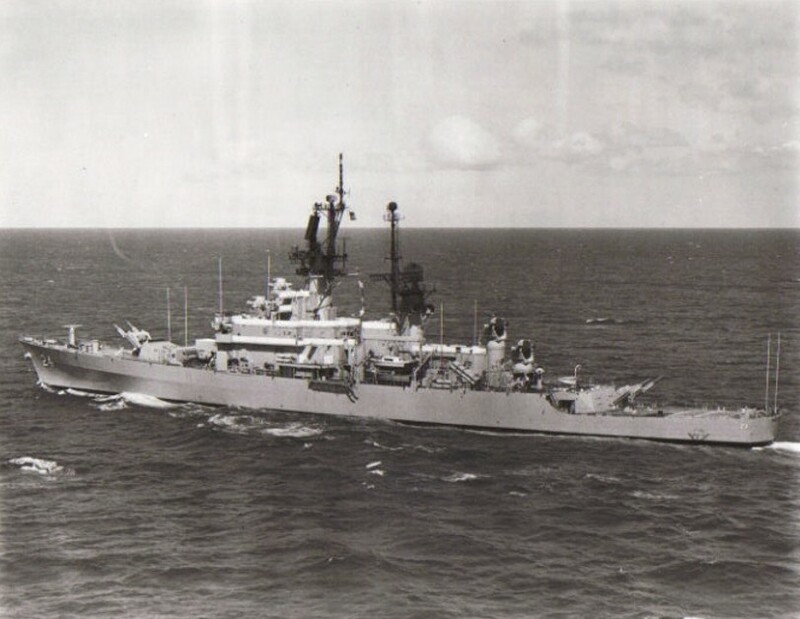 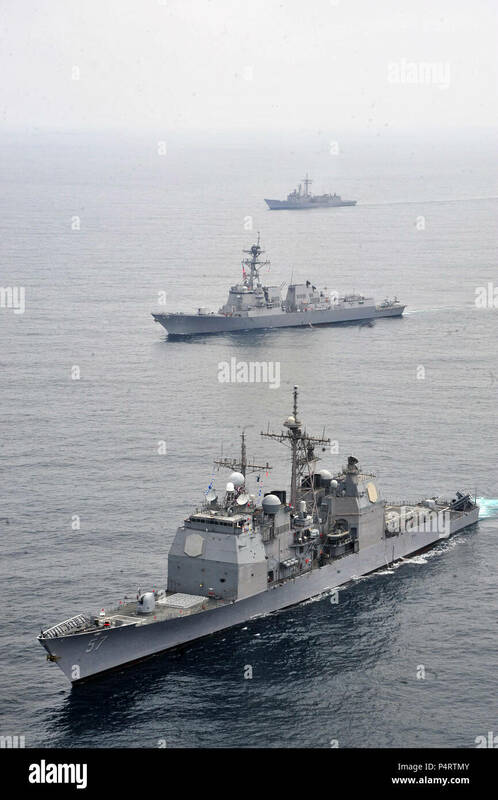 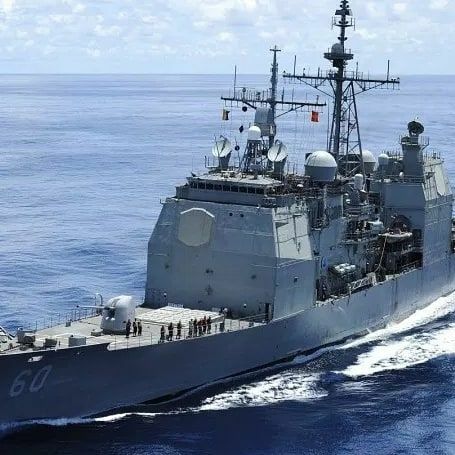 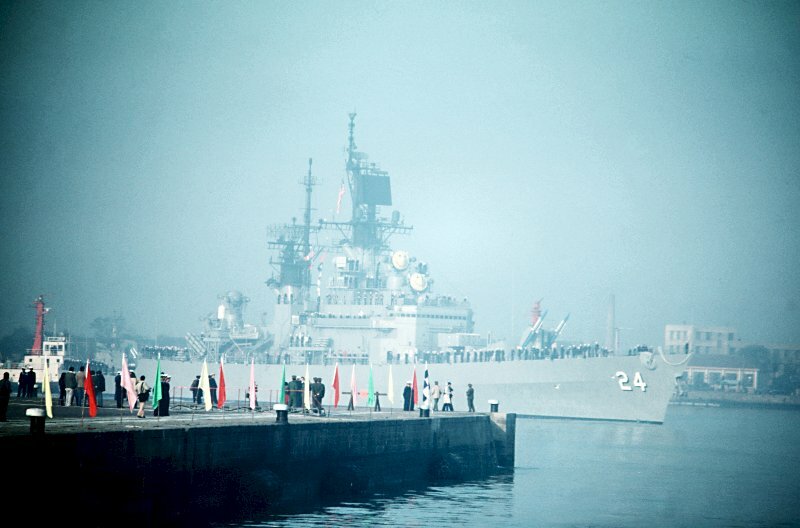 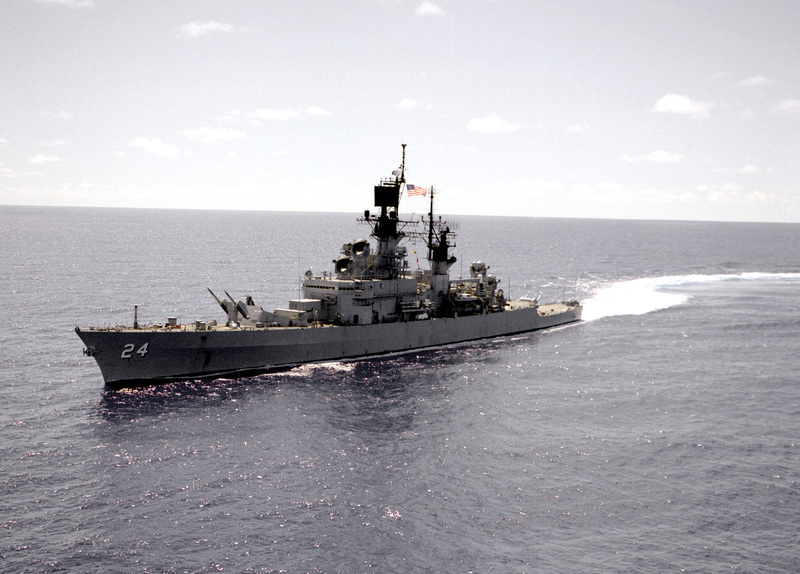 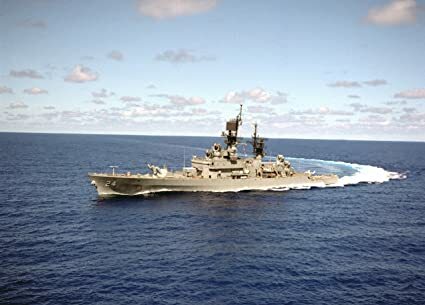 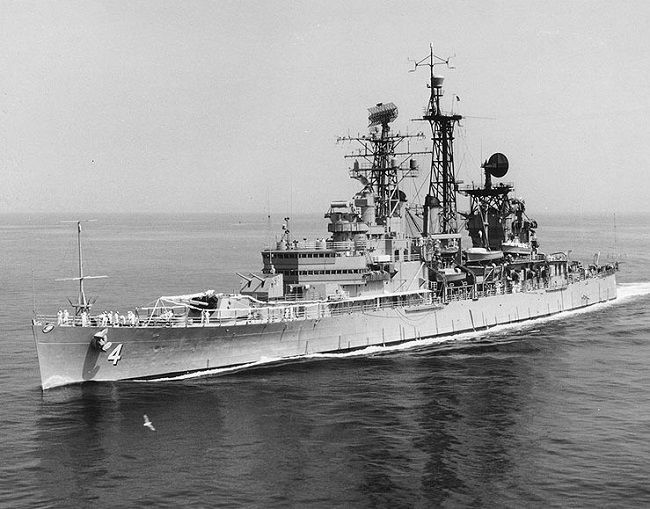 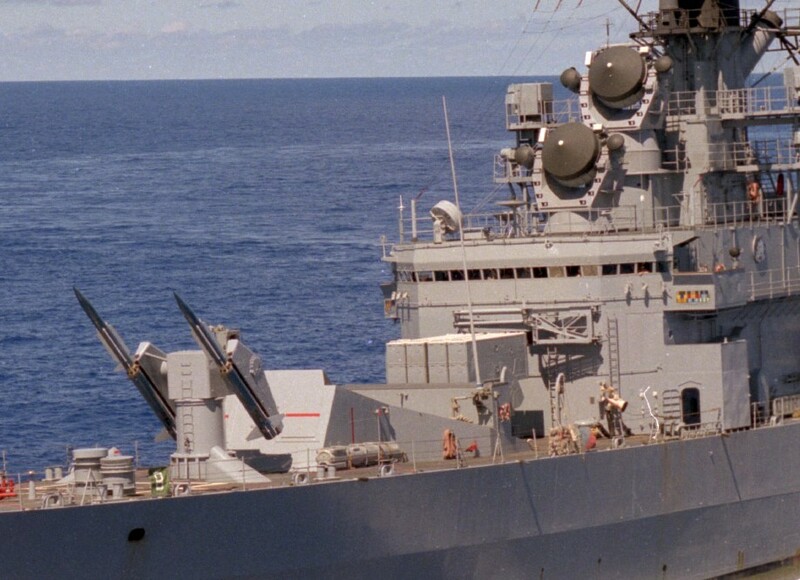 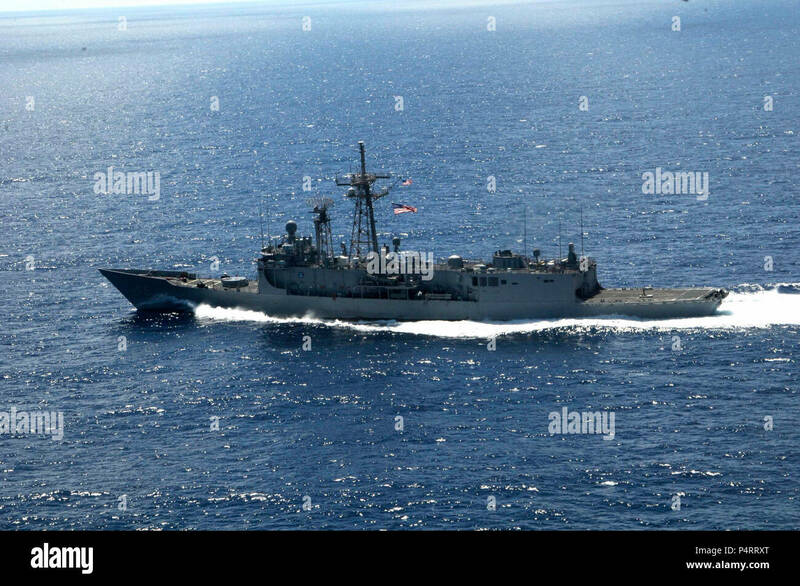 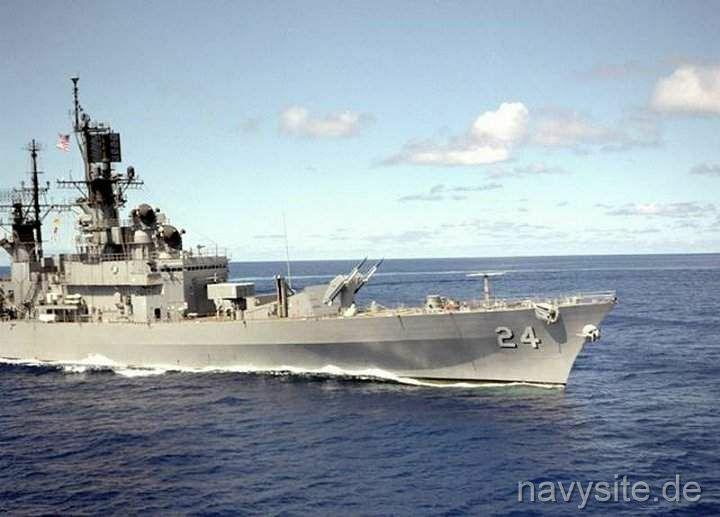 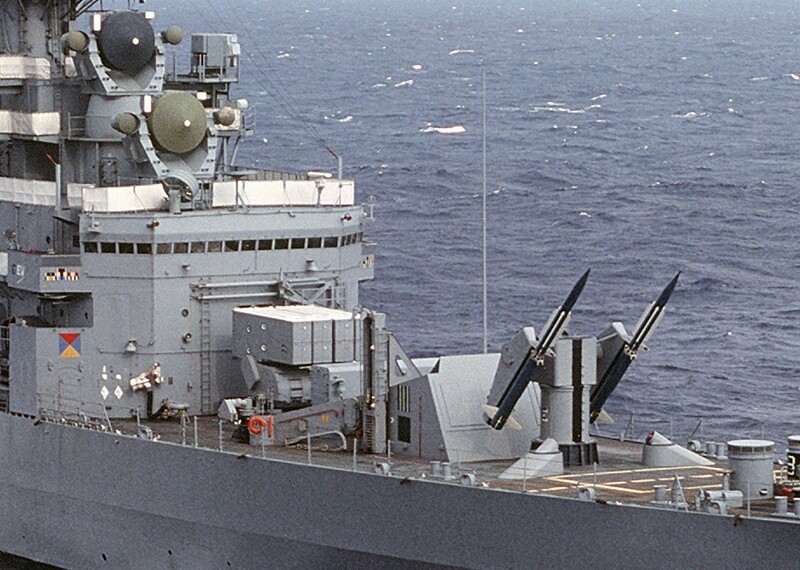 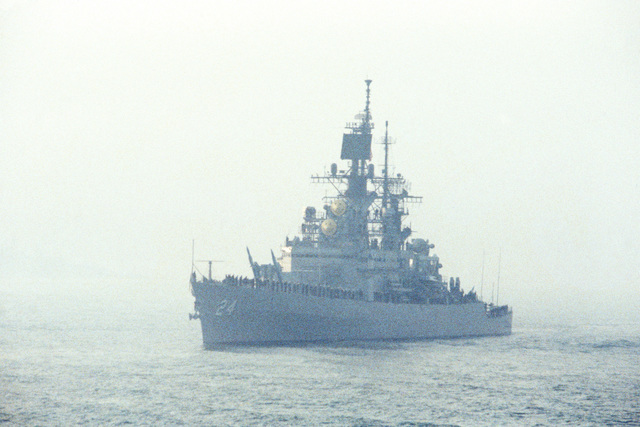 A port view of the guided missile cruiser USS REEVES (CG 24) en route to Quindao, China. 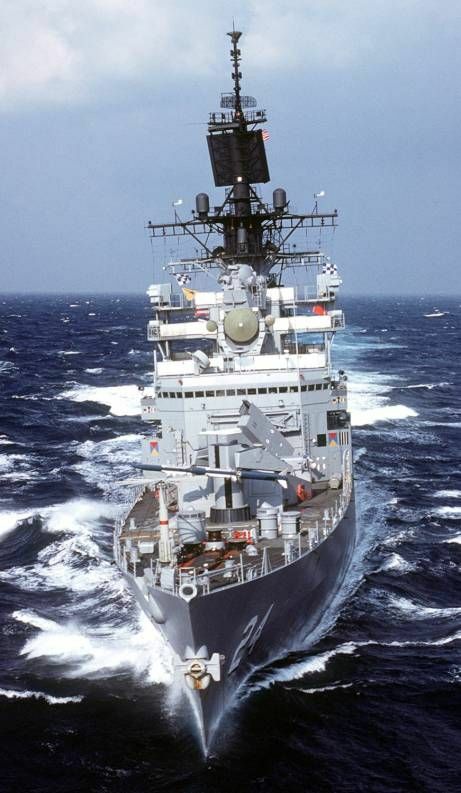 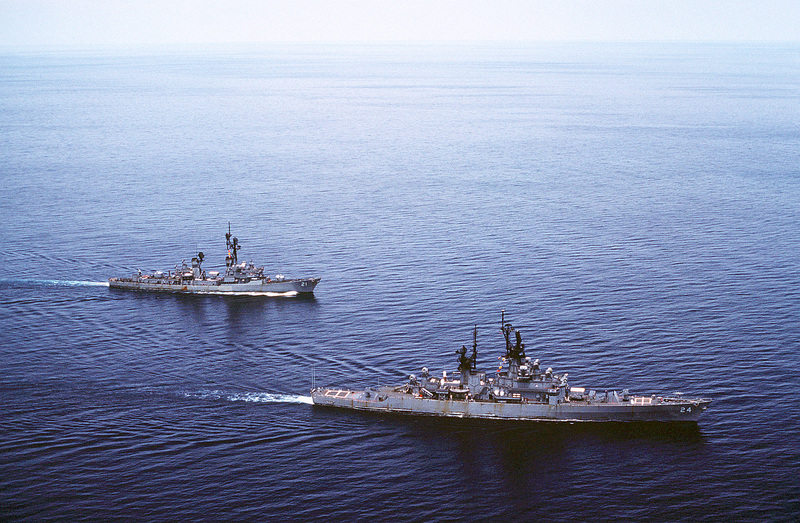 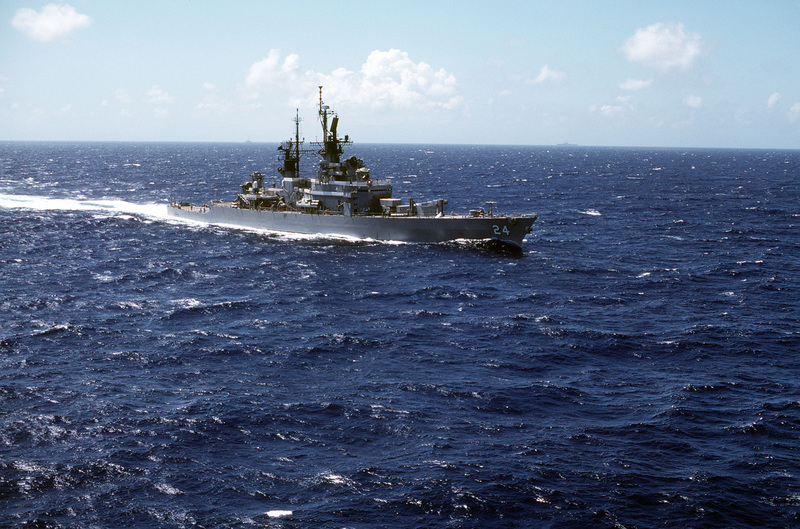 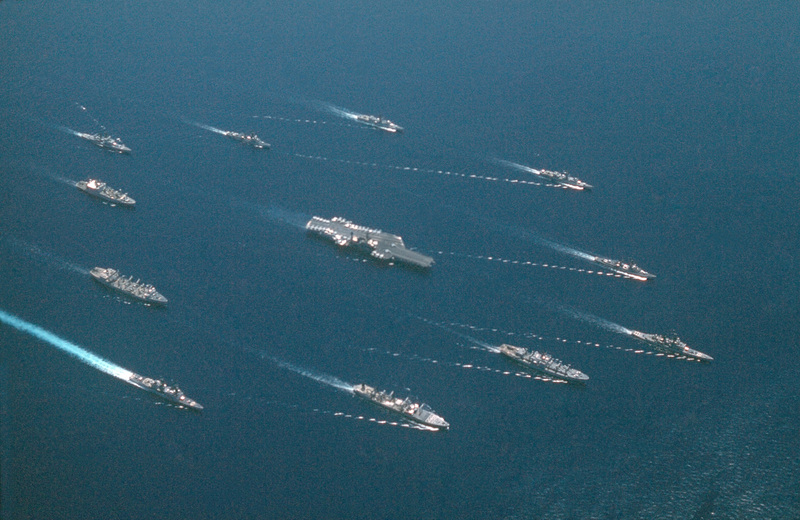 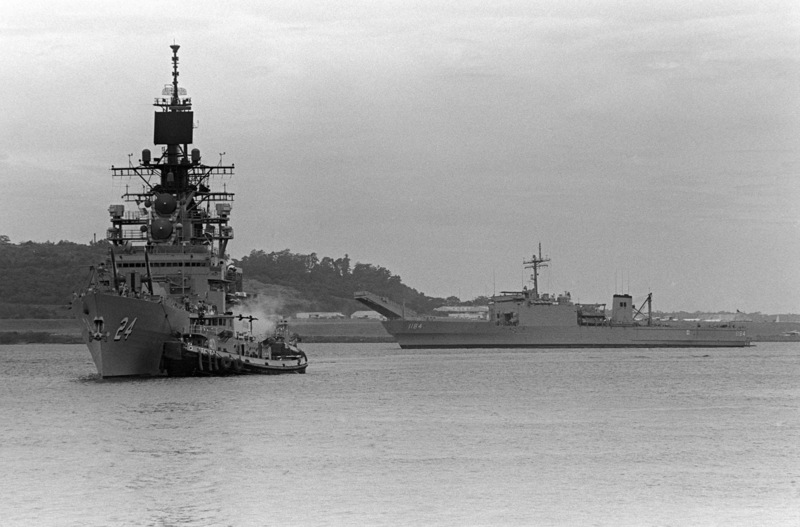 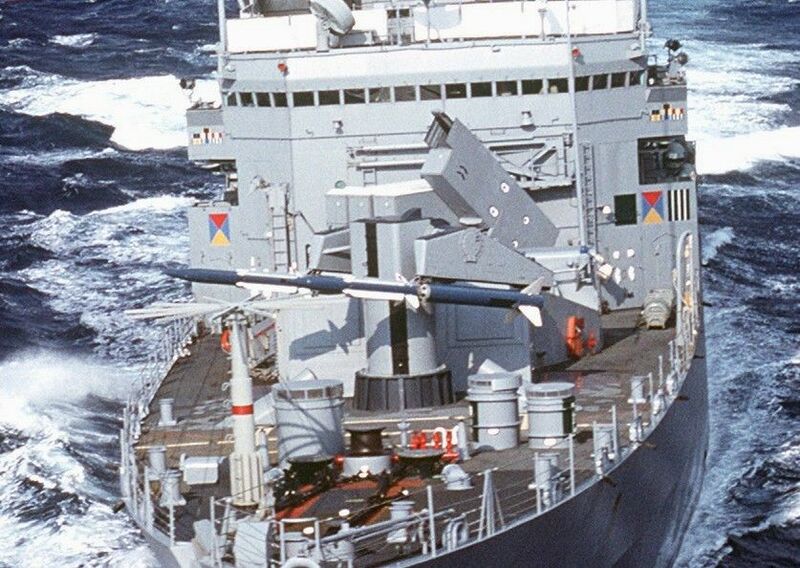 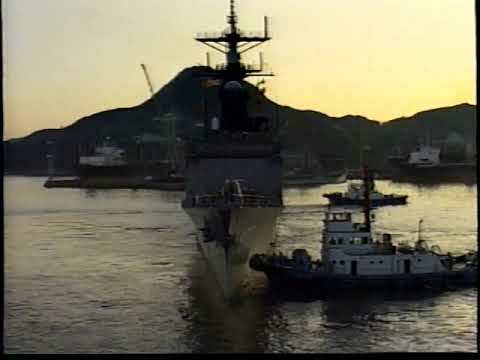 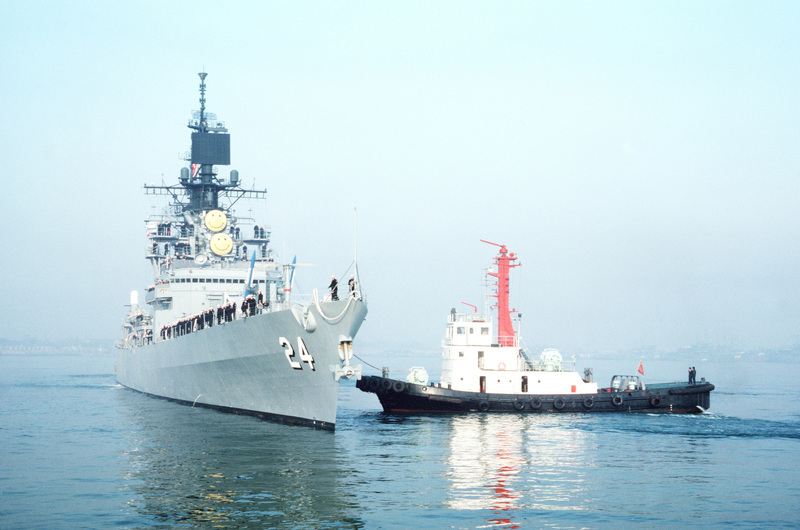 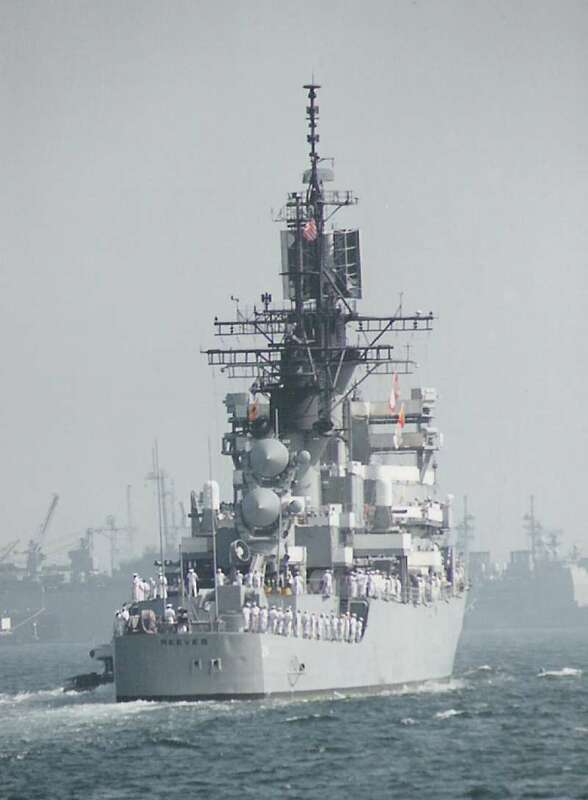 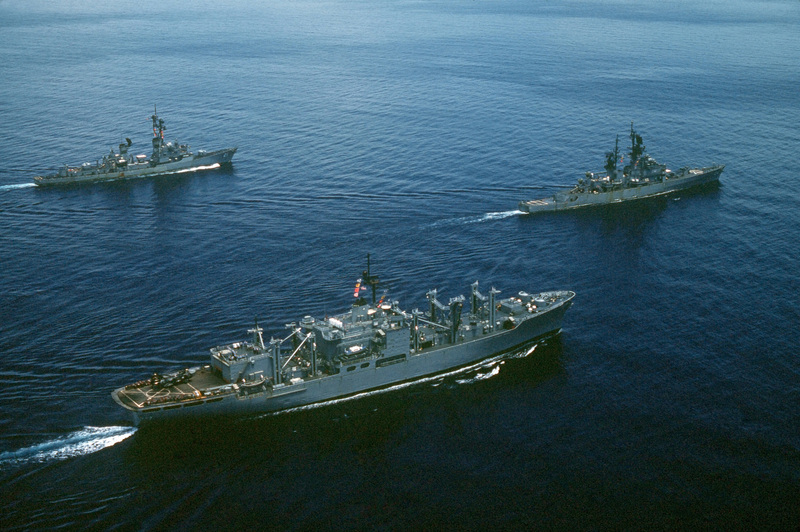 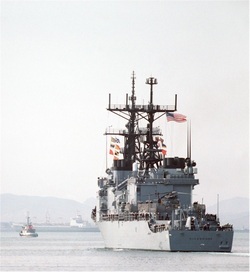 The photo below was taken by Scott R. Fansler and shows the REEVES at anchor at Shimoda, Japan, on May 17, 1989. 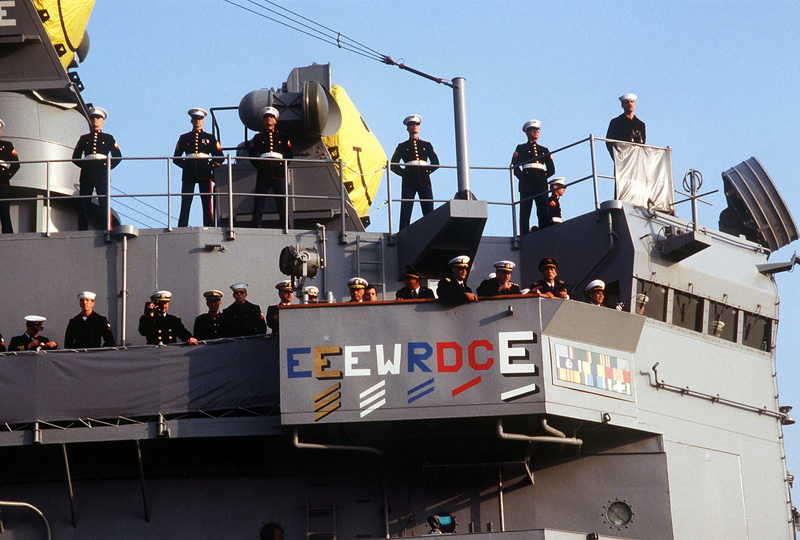 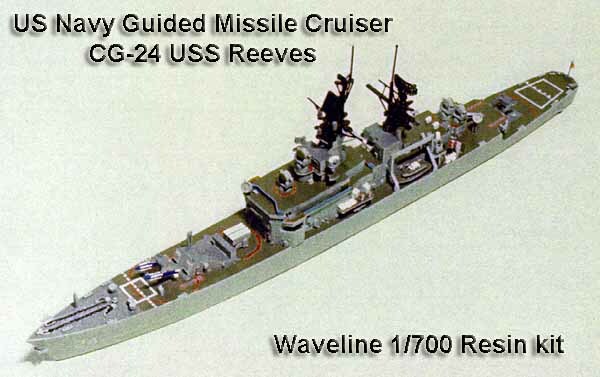 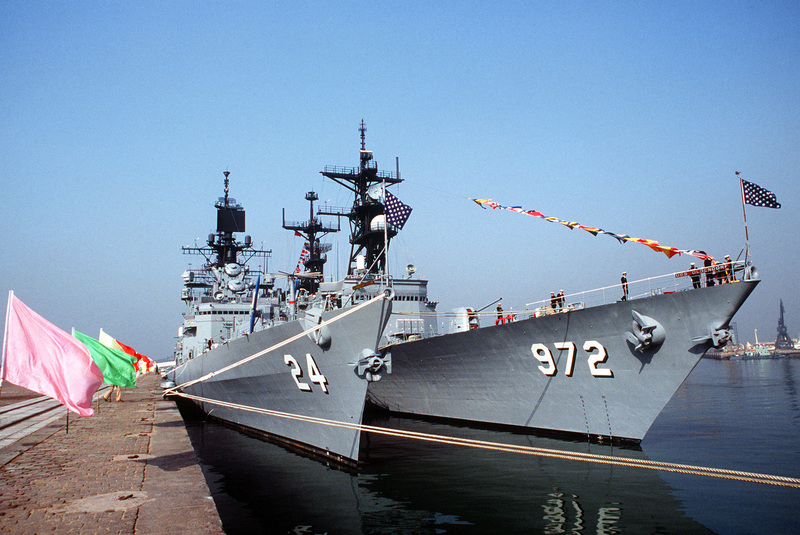 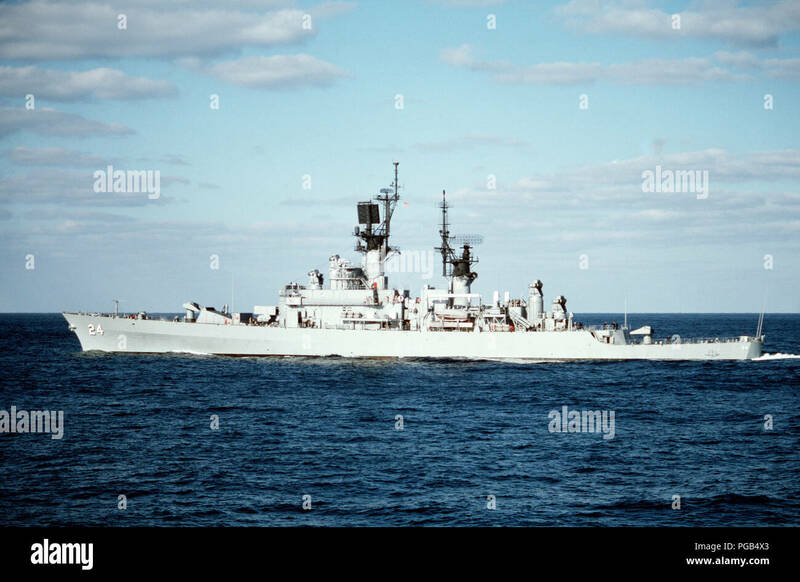 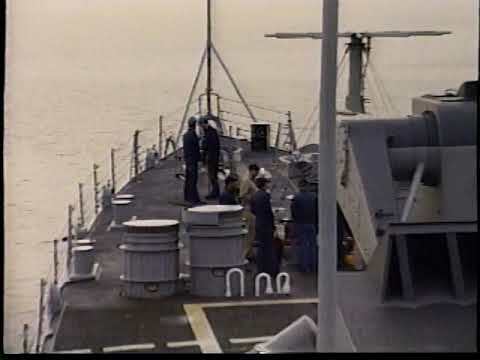 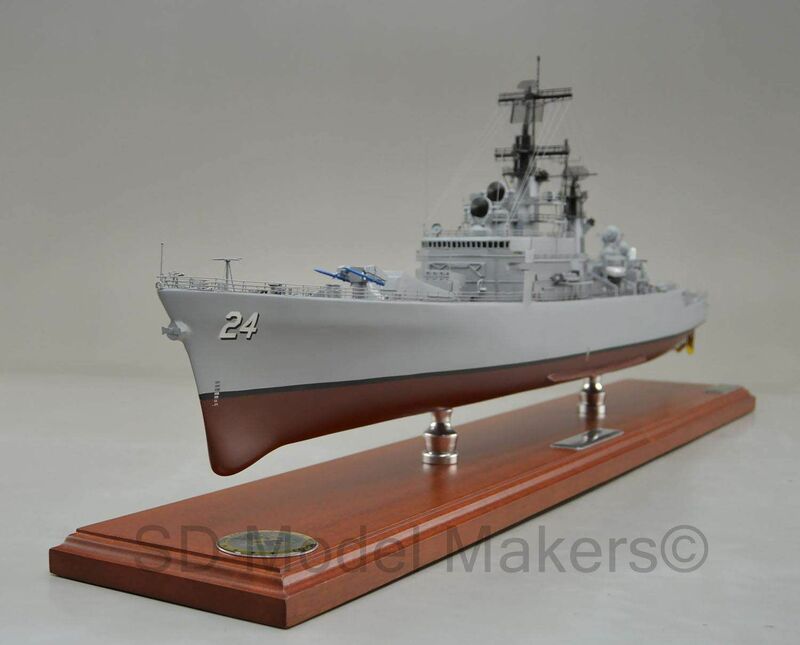 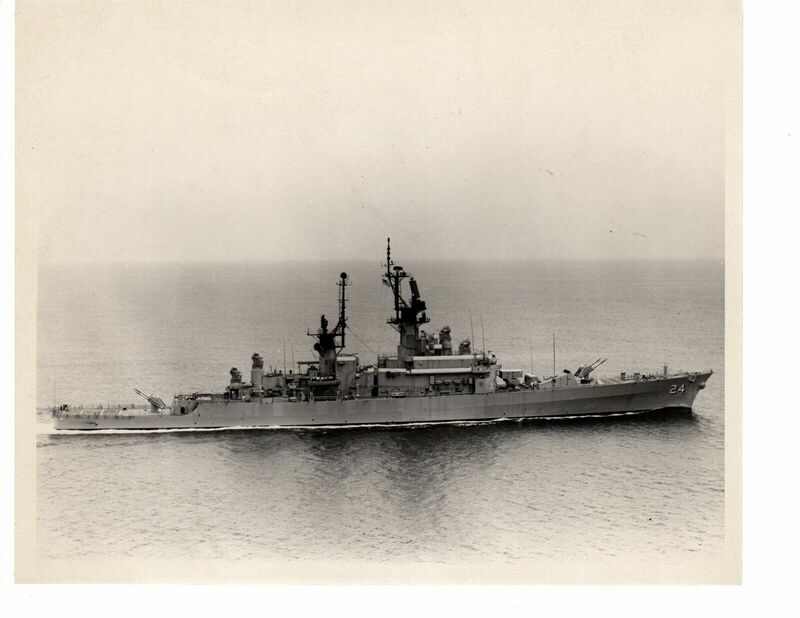 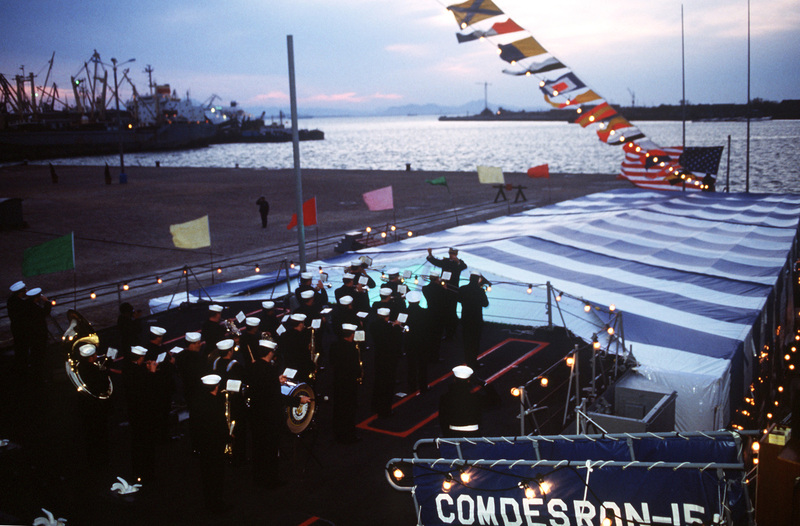 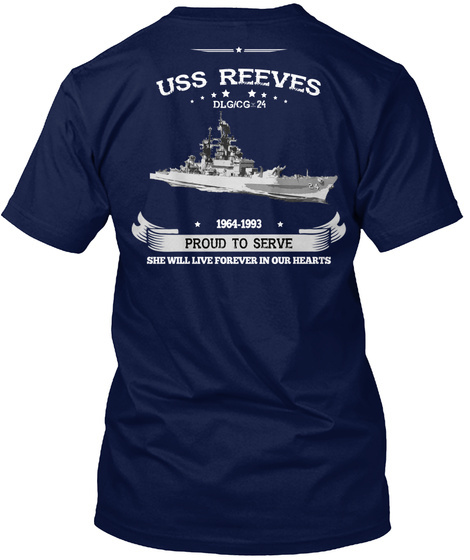 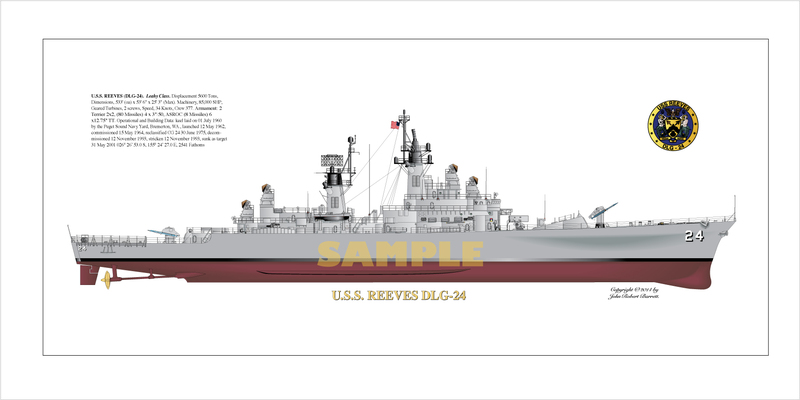 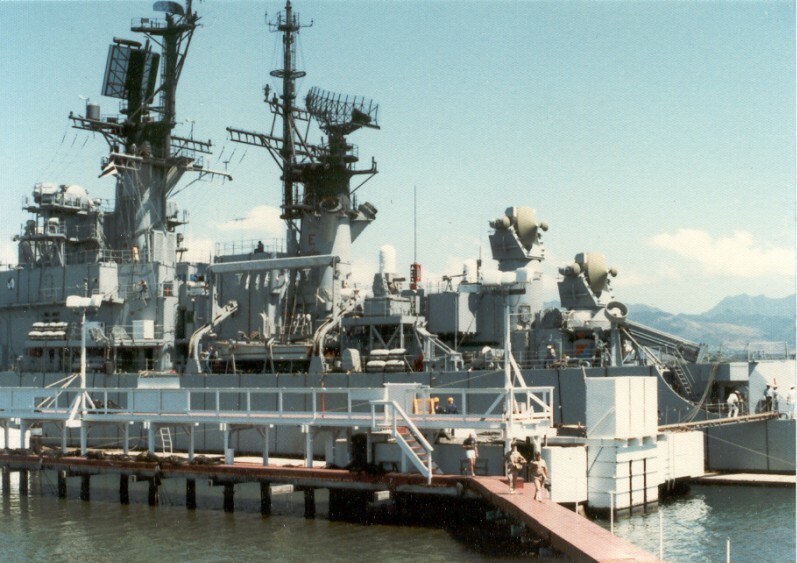 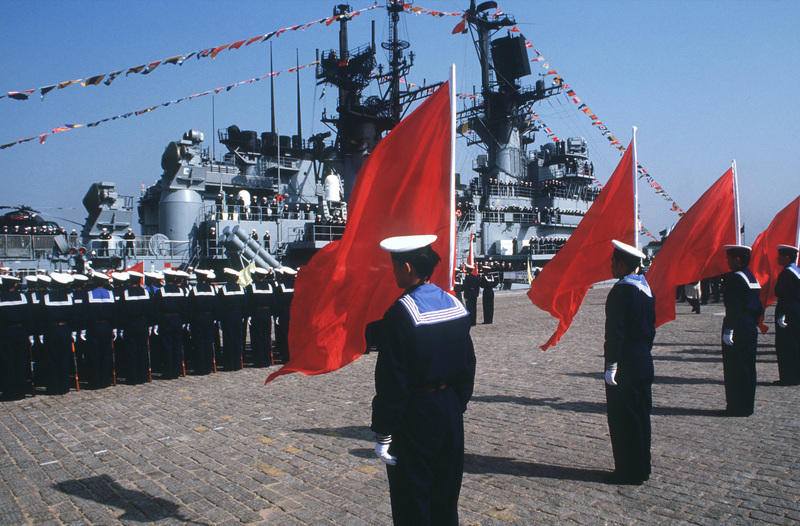 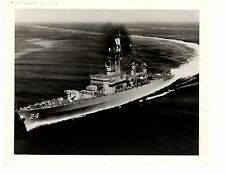 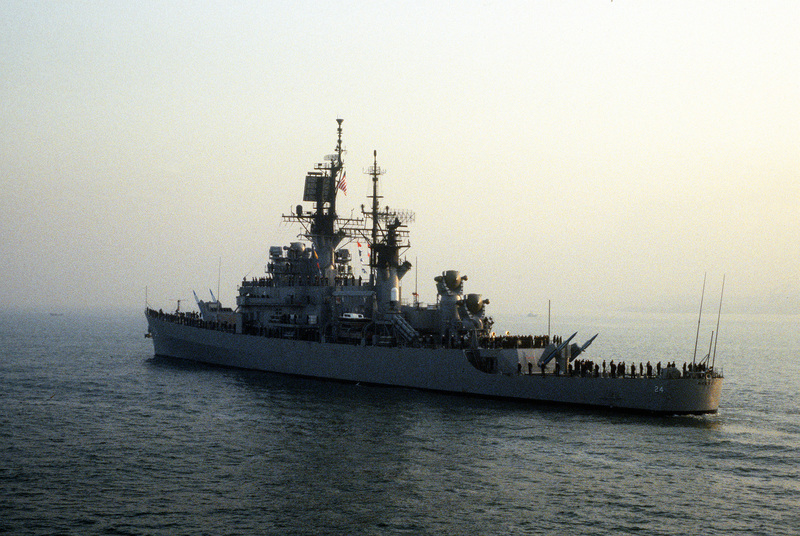 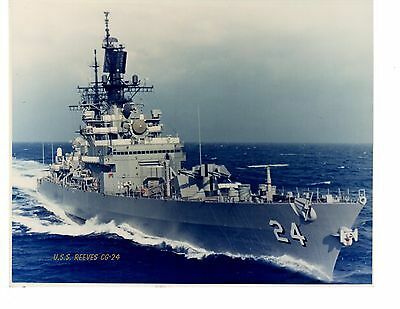 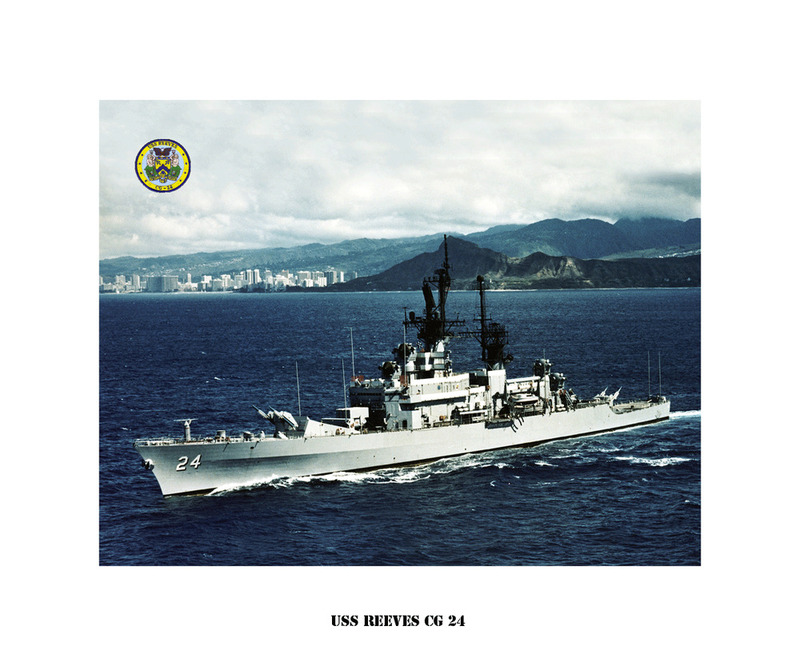 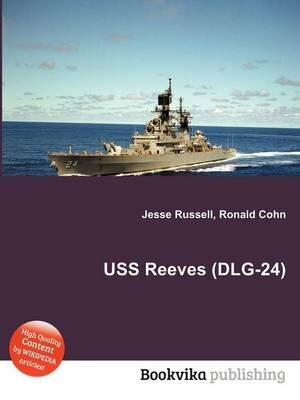 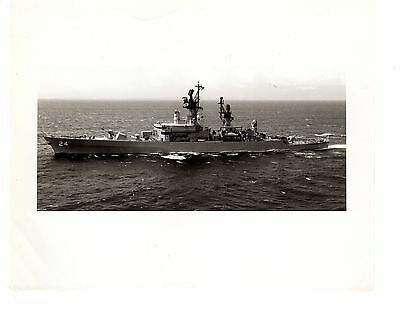 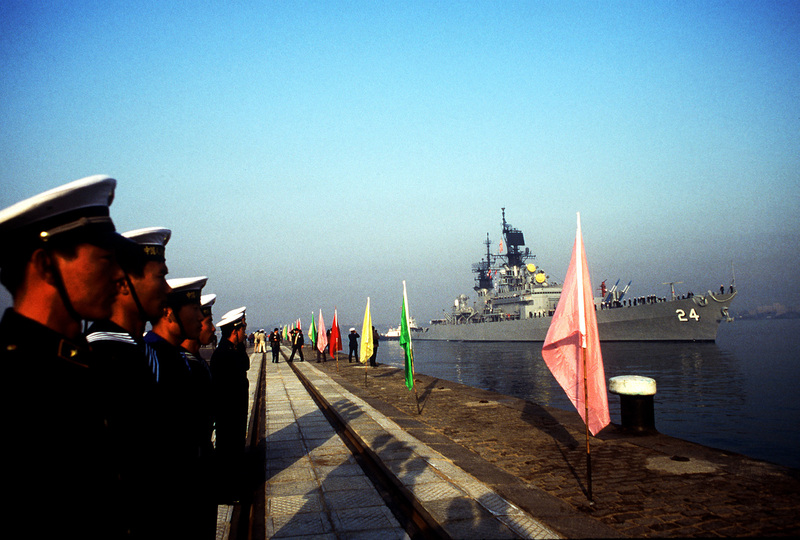 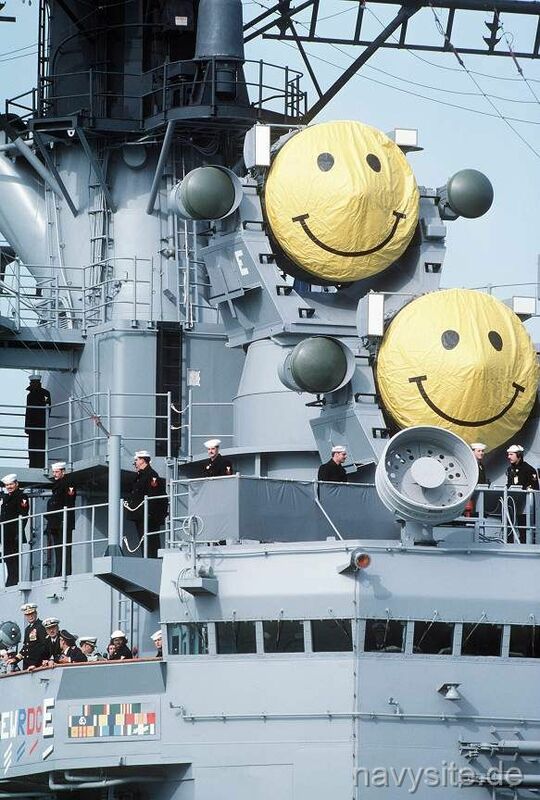 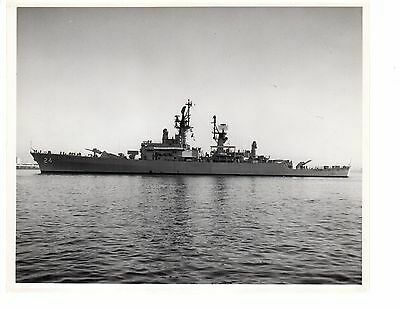 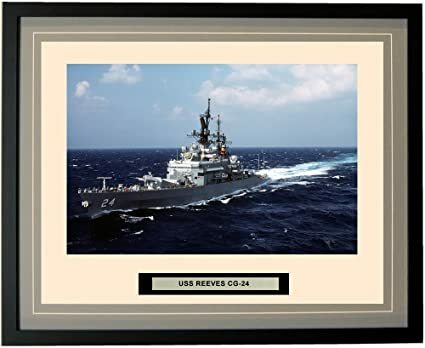 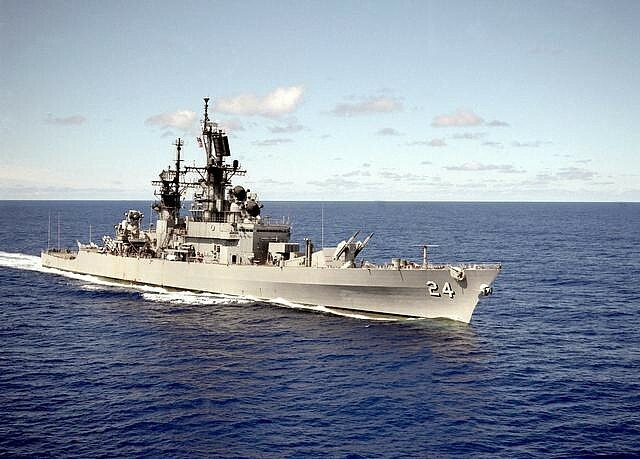 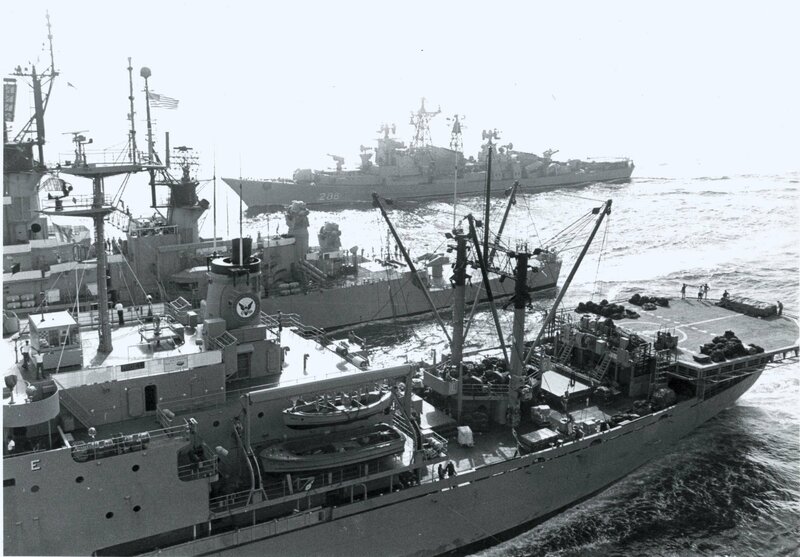 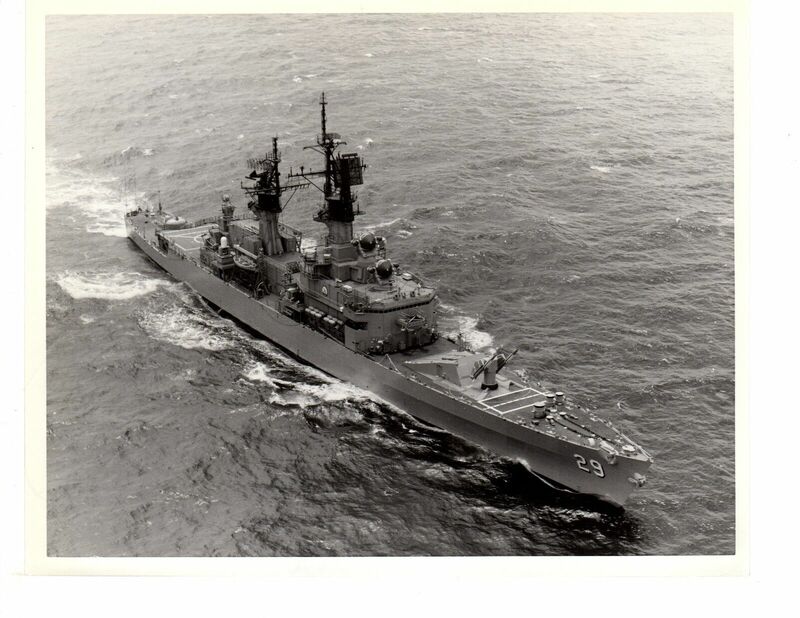 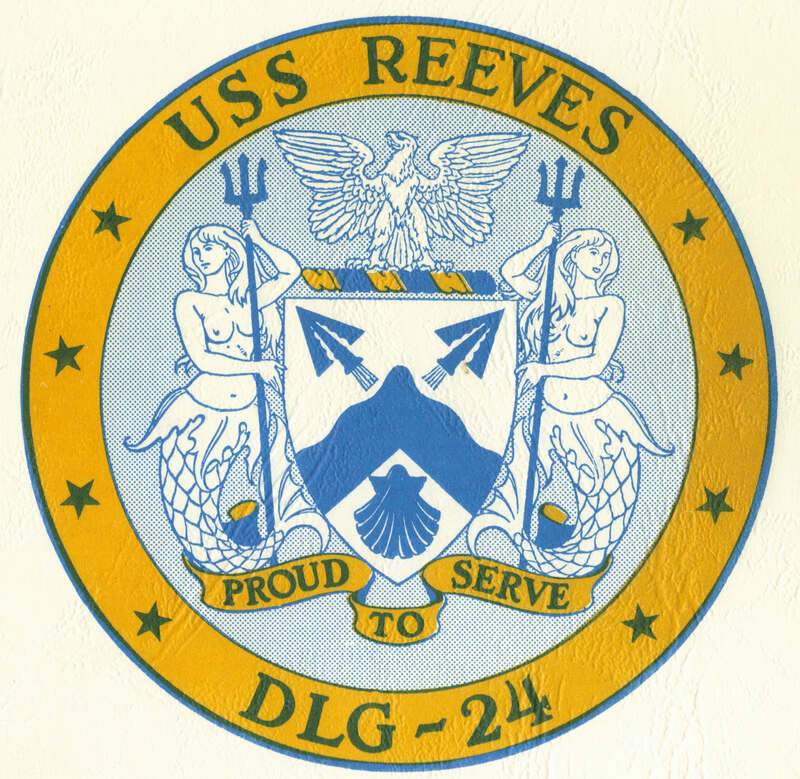 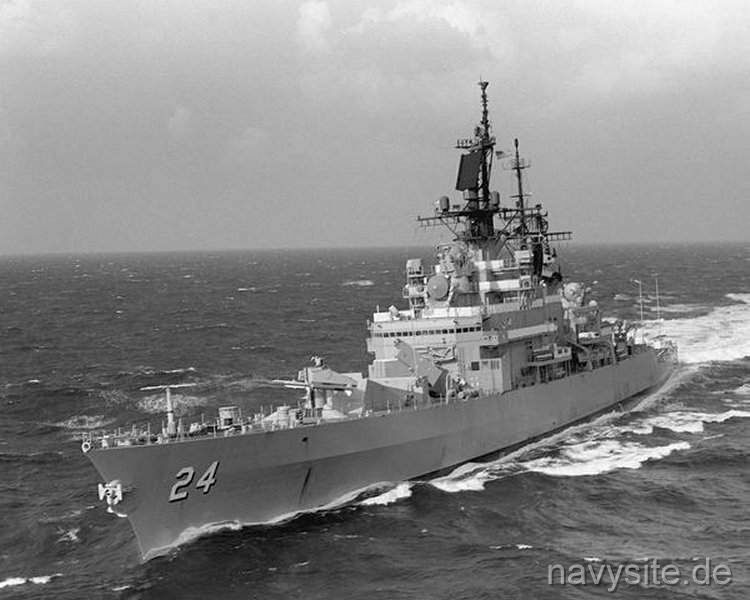 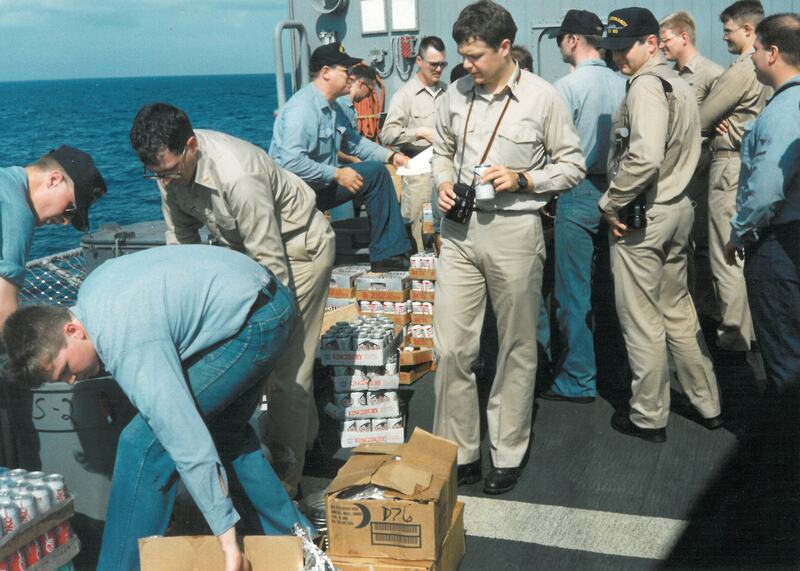 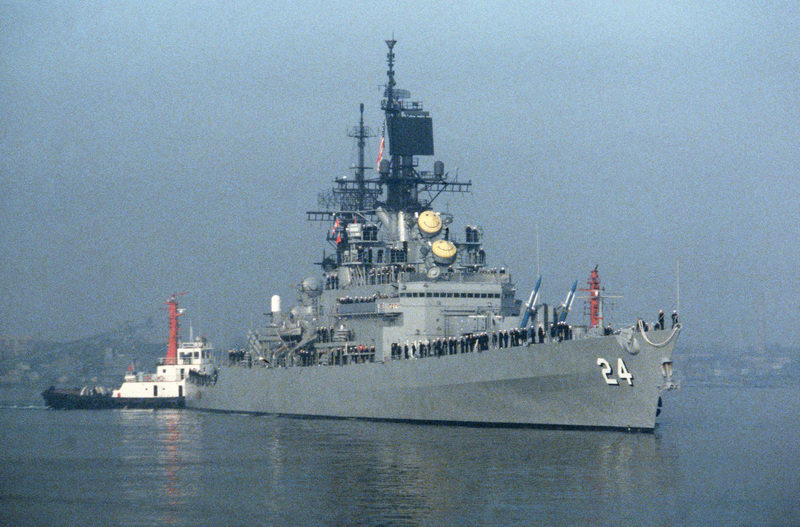 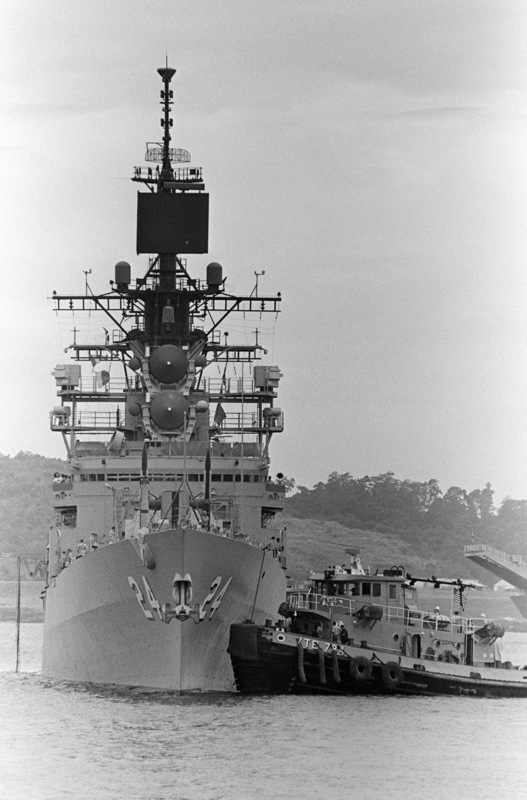 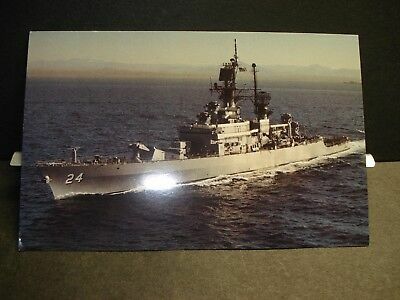 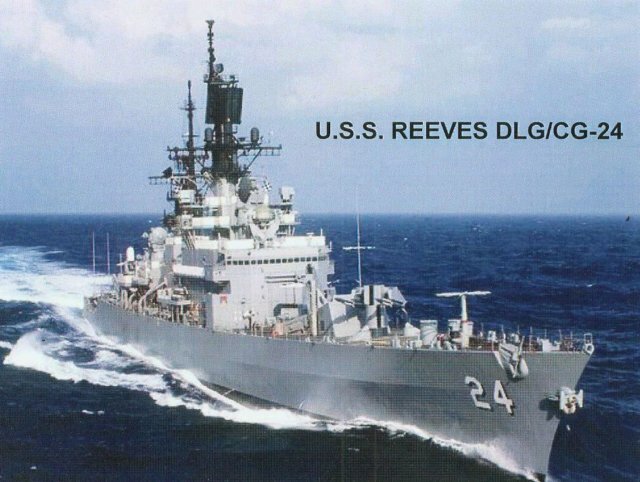 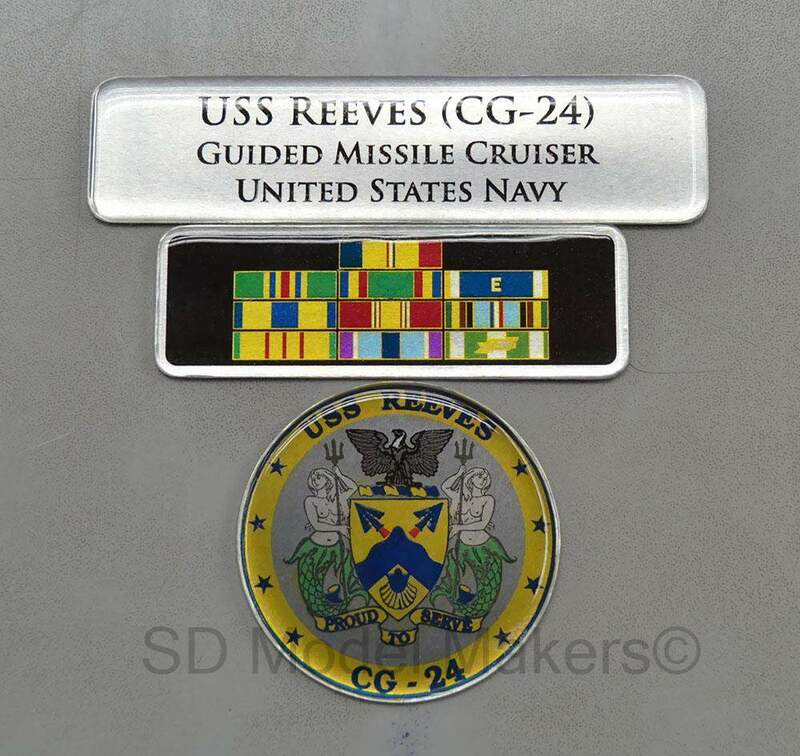 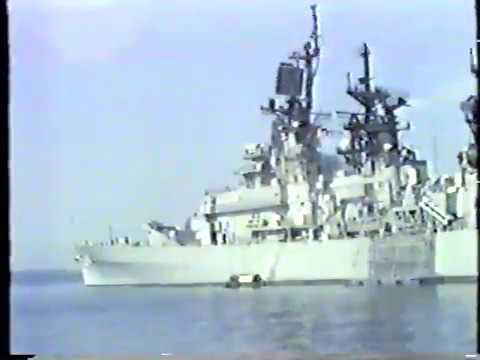 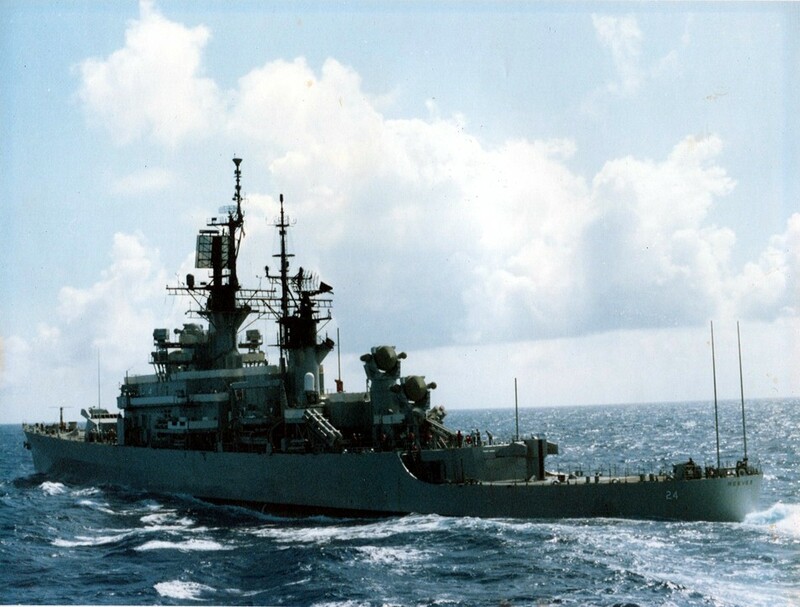 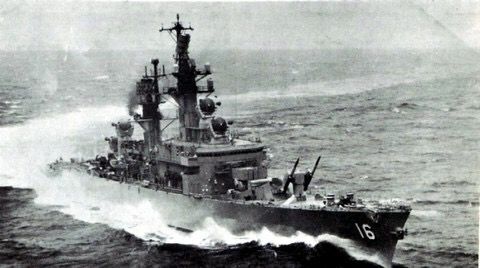 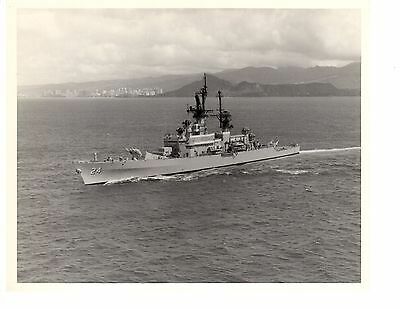 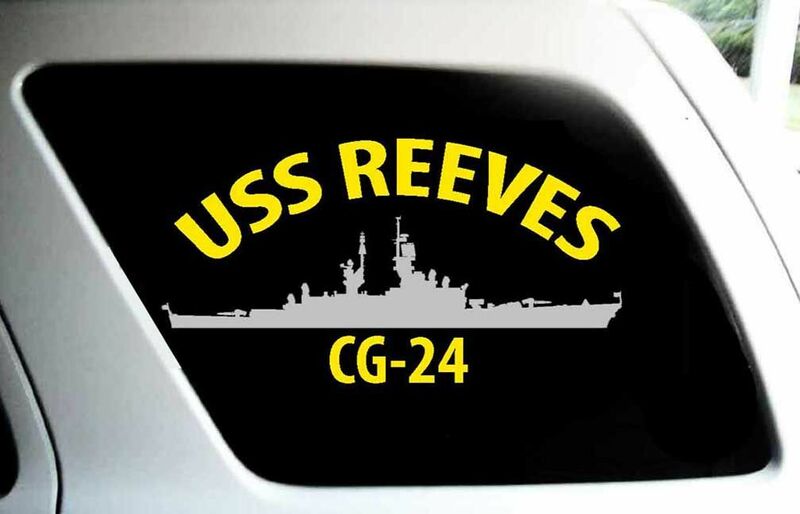 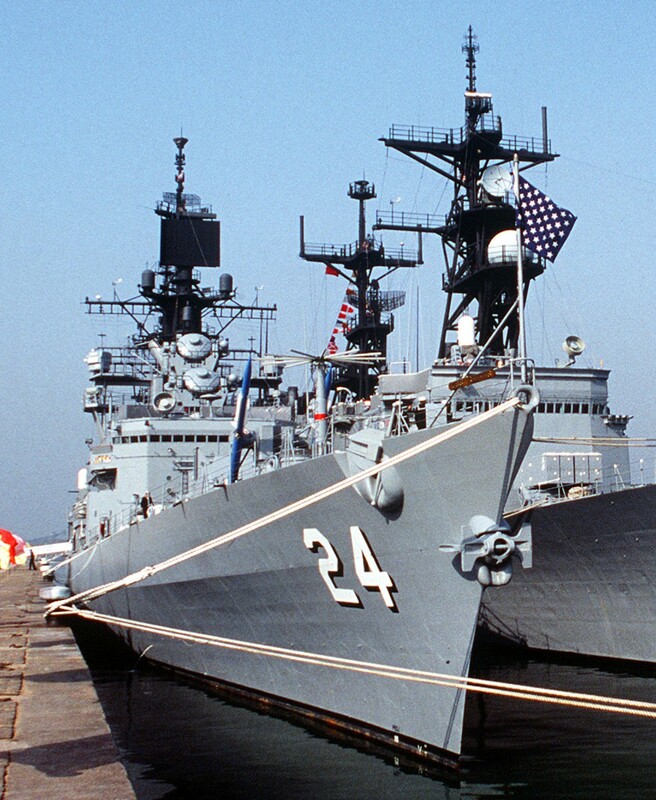 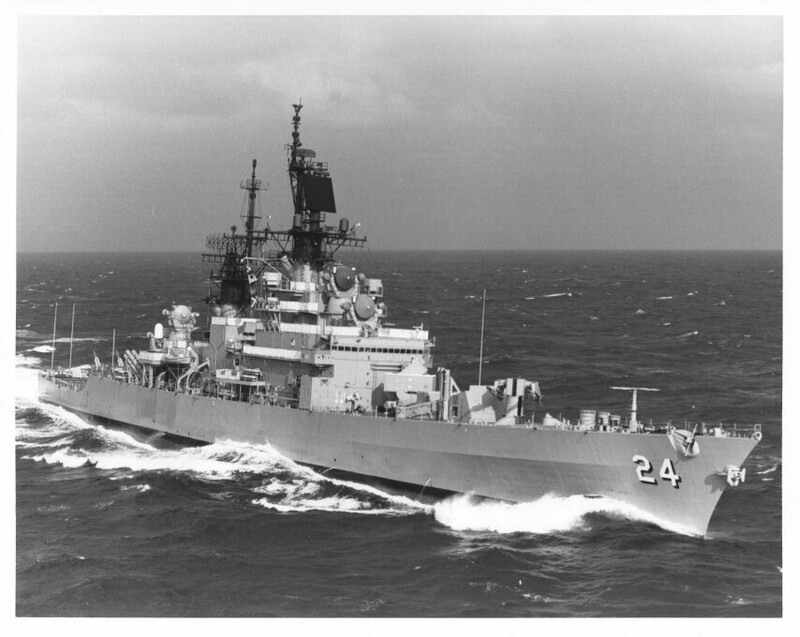 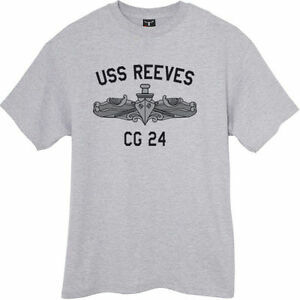 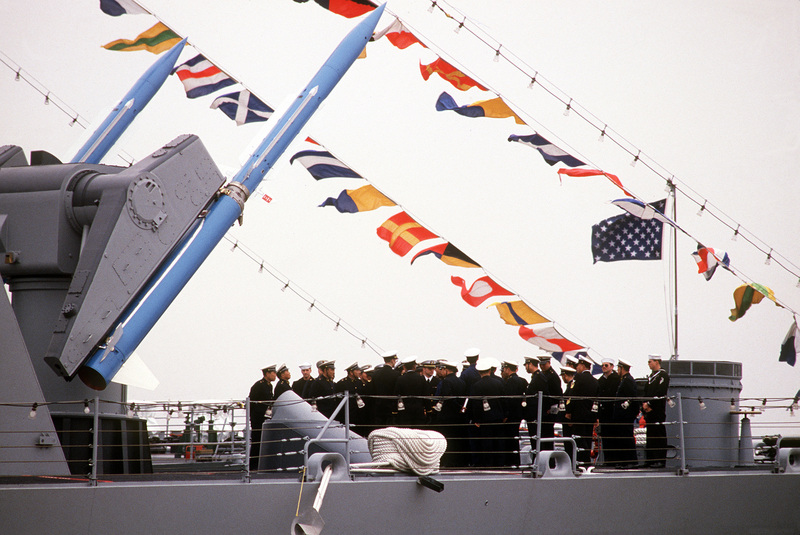 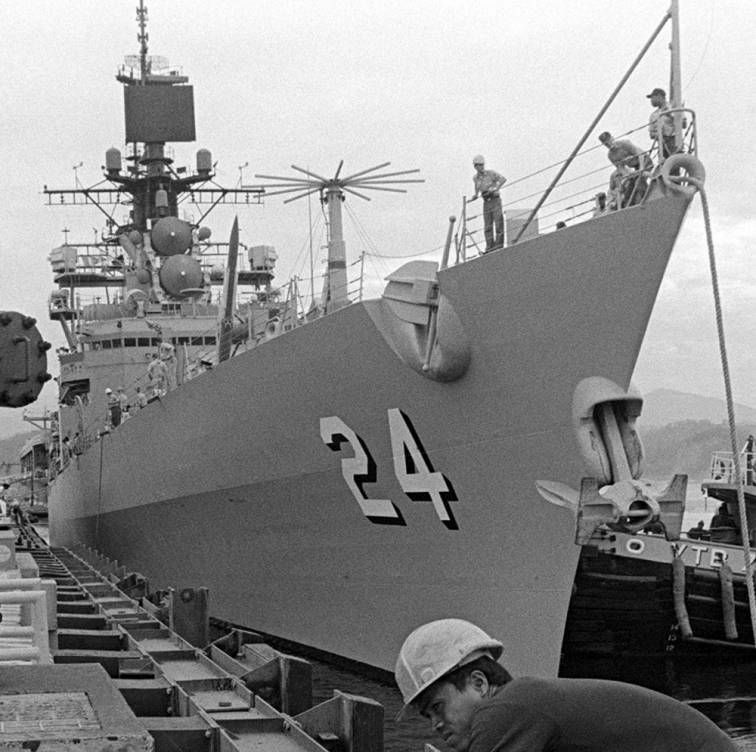 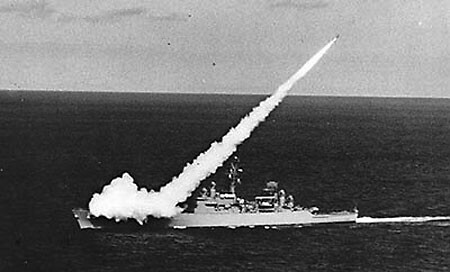 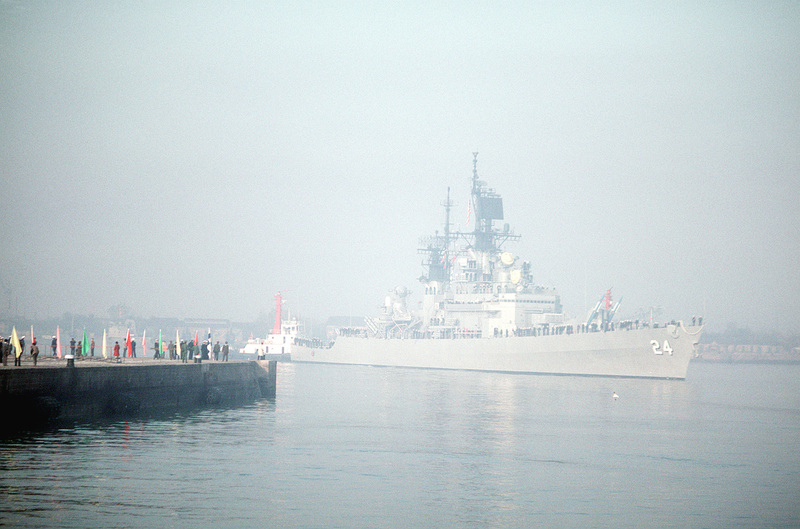 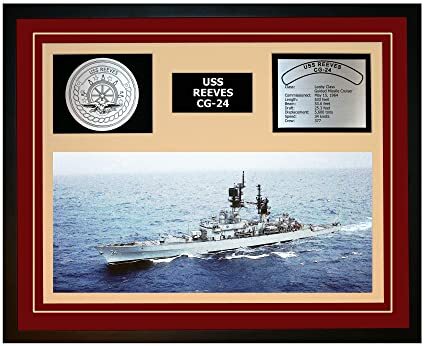 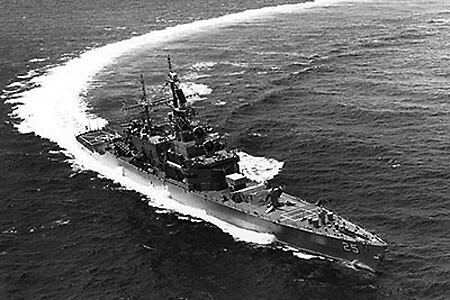 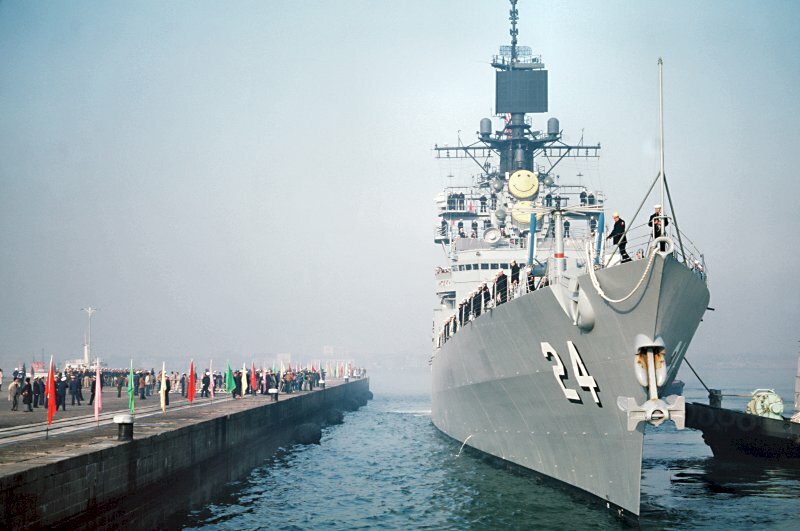 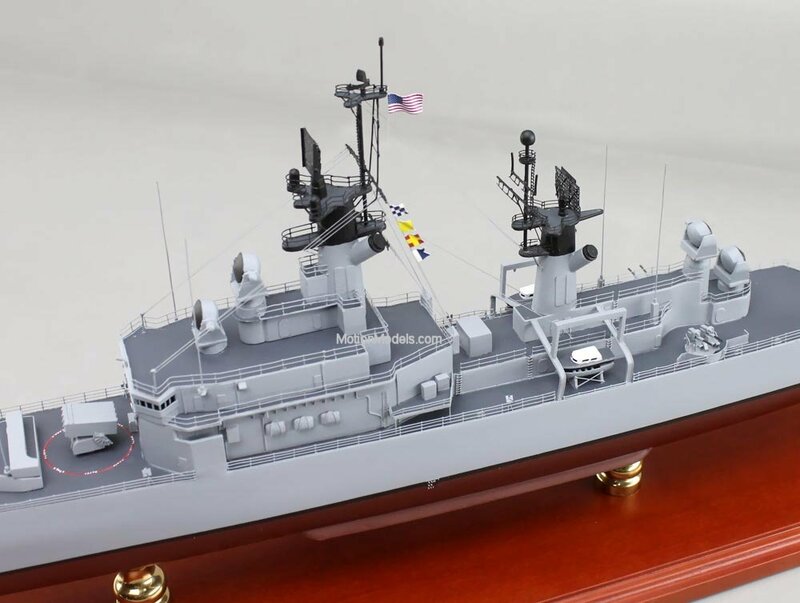 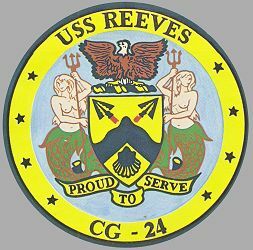 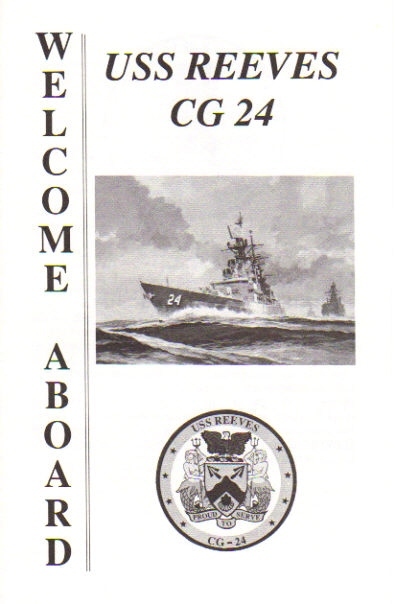 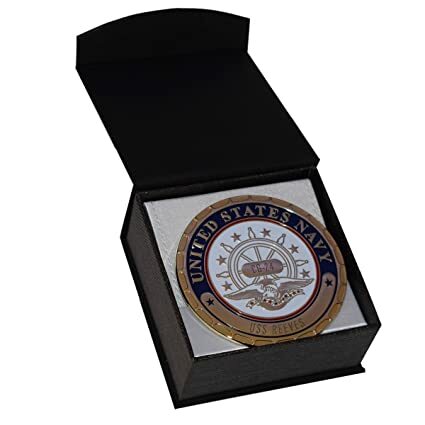 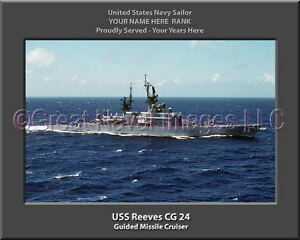 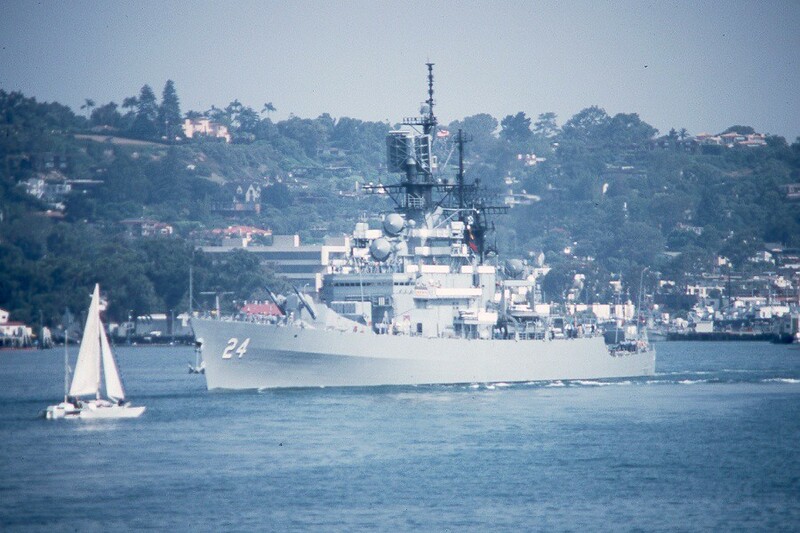 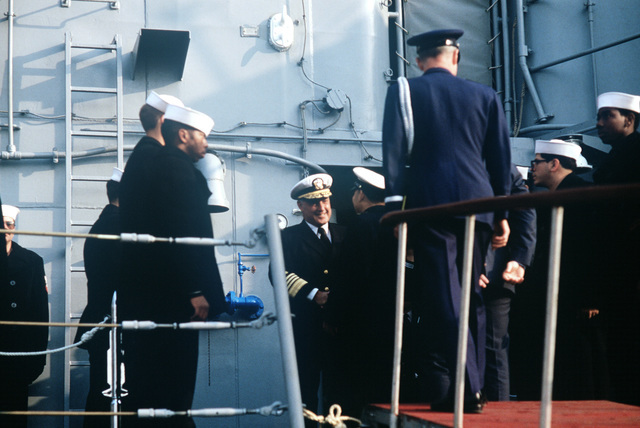 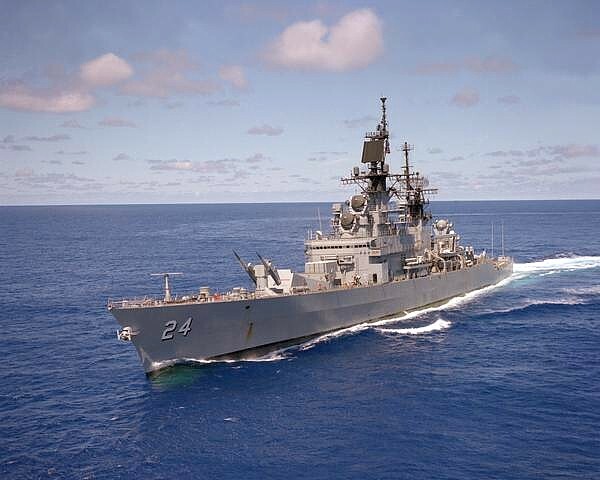 USS Reeves CG-24 Golden Anchor Award 1986, Yokosuka, Japan. 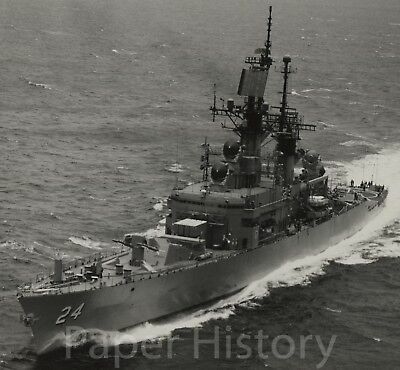 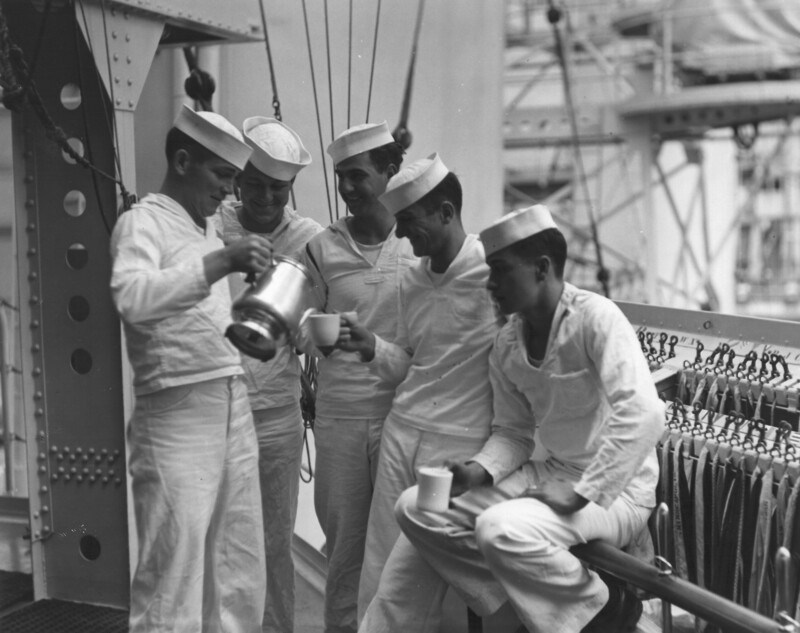 ... and Photo3) of the ship.